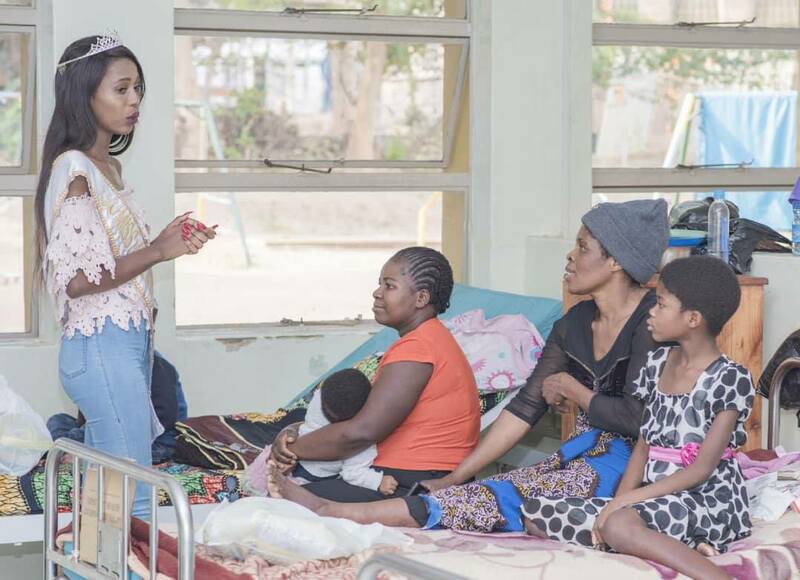 Newly crowned Miss Malawi Tiwonge Munthali on Monday cheered up children admitted at Kamuzu Central Hospital (KCH) in the capital Lilongwe. 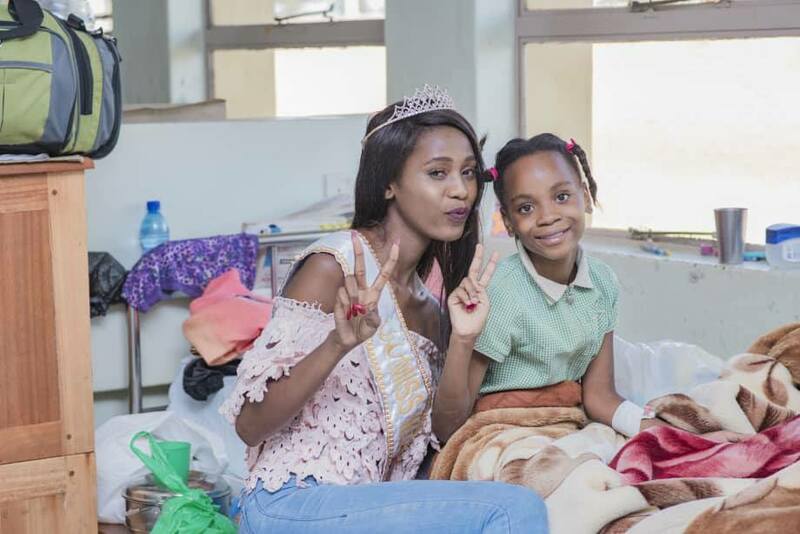 Munthali also donated assorted items to the children found in the paedriatic ward, according to the statement posted on Miss Malawi facebook page seen by faceofmalawi reporter. According to the statement, Munthali conducted a number of activities with the children. “Miss Malawi spent an afternoon at KCH (paedriatic ward) to cheer up the kids and remind herself why it’s important to thank God for life. “She was joined by friends. We prayed with the kids and shared the word of God with them,”read the statement in part. Munthali was crowned 2018 Miss Malawi in April after outclassing 14 other contestants in the finals of the beauty pageant held at Bingu International Conference Centre (BICC).